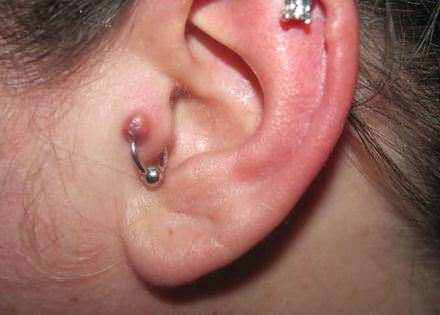 Scarring is a common concern for people who are thinking of getting a body piercing. Though, not every type of scarring is the same. One type of scarring you might not know much about is known as keloid scarring. Keloids are unusually prominent and visible scars that can form when healing from a piercing or some other kind of wound. Keloids can be alarming, so it’s a good idea to know the risks and how much work is involved in getting rid of one before you get a piercing. We’ll go over all the things you need to know about keloid scars, how to prevent them, and what you can do if you already have some spreading on your skin. Where Do Keloids Most Commonly Appear? How to Get Rid of Keloids and Keloid Scars? What Risks Are Associated with Keloids? A keloid is a raised scar, but what makes it different than other kinds of raised scars is that it doesn’t just cover a wound. Instead, it spreads beyond it, usually growing much larger than the injury itself. In some rare cases, keloids will appear spontaneously, unrelated to any damage to the skin. Keloid scars are also unique in how long they take to form. While a wound will scar over fairly quickly, a keloid scar might only appear months after the skin has been injured. Once it has appeared, it can also grow larger, sometimes spreading further across the skin surface for years. Keloids take on bizarre shapes. Unlike more typical scars, keloids can look almost like melted plastic that has solidified. They also vary in their coloring. Some are a very light pink, while others will have a far darker pigment, often much darker than the rest of your skin. Unless they are the rare ones that appear spontaneously, keloids show up where the skin has been damaged in some way. It doesn’t matter what kind of damage it is because the keloids don’t form when the skin is injured; they form when the skin is healing. When your body is healing from skin damage, the fibroblast cells will increase the production of a protein known as collagen. Collagen’s role is to strengthen the skin, so it plays a key role in everything from replacing dead skin cells to healing deep cuts. The problem occurs when those fibroblast cells work harder than they should in response to an injury. When that happens, they produce way more collagen than you need to patch up the wound – about 20 times as much – and instead of the wound healing over with a discreet scar, this abundance of collagen results in a keloid scar. Anywhere your skin gets damaged could result in a keloid scar, but there are some parts of your body that are more likely to be affected than others. The chest, back, shoulders, upper arms, and earlobes are the most common sites for keloids. That means you’ll need to consider this and take extra care when getting your ears pierced (we’ll talk about how to prevent the keloids from forming in a later section). Keloids don’t usually form on the face, but it can happen. The jawline is especially susceptible to them, and keloid scarring on the cheeks is not unheard of. There are multiple ways to get rid of keloid scars, but which one you use will depend on a few factors. You should consult with a dermatologist. They will help you decide on the best procedure based on the keloid’s location, the size of the scarring, and how long you’ve had it. One of the least invasive and lowest impact ways of treating keloids is by regularly applying moisturizing oils to it, such as avocado oil. These oil treatments, if effective, will soften the scar tissue and make them appear less prominent. Note, however, that they will not eliminate keloids. Cryotherapy involves freezing the keloid to lighten the scar tissue and make it less visible. As this just makes the keloids a bit more discrete rather than getting rid of them, they’re best suited for small ones, like the ones that form as a result of acne. Several medications can be injected into the skin to treat keloids, including interferon, verapamil, and fluorouracil. Their effectiveness and use in treating keloids, however, has not been studied extensively. Corticosteroids are the only medicines that have been subject to a lot of study and are commonly used to treat keloids. They are often used alongside another treatment, like cryotherapy. Surgical intervention might be required to deal with larger keloids. Radiation therapy is another option for treating and eliminating keloids. This, however, is considered a bit more extreme than the alternatives. Due to the risks of cancer that come with radiation therapy, it’s usually offered only as a last resort, after all other methods have failed. It’s important to keep your expectations in perspective before attempting to get rid of keloids. There is no sure-fire way to get rid of keloid scars. Treatments can minimize their appearance, but even then it’s common for them to return after they have been treated. Everyone’s body and every keloid scar is different. That means not every treatment will have the same results across different cases. Unfortunately, that means all you can do is try one method and, if it doesn’t work or doesn’t work as well as you’d hoped, you’ll have to move to another one. Eventually, with the help of your dermatologist, you will hopefully find a procedure that works well for you. The first thing you should know about preventing keloids is that there are a few things you simply can’t do anything about. Not everyone is susceptible to developing keloids, and whether you are or not largely depends on genetics. First, your ethnicity plays a role. Keloids are more common in skin with darker pigments, so they’re more prevalent among people of African, Asian, or Hispanic descent. If your biological parents have keloids, you are also more likely to develop them when healing from skin damage. In fact, one study found that more than half of people who develop keloids have at least one family member with a keloid scar. Age is also a factor. You’re most susceptible to keloids between the ages of 10 and 30. Once you pass the 30-year mark, your likelihood of developing these kinds of scars drop. Okay, so those are all the factors that are beyond your control, but it doesn’t mean there’s nothing you can do. If you know you’re susceptible to keloids, fall into one of these higher risk categories, or just want to be careful, there are some steps you can take to reduce the chances of a keloid scar developing. When you sustain any wound, there is a three-step process you can follow to make prevent keloids from forming. Step One: Bandage the wound as soon as possible. Ideally, you should use a non-stick bandage and spread a layer of petroleum jelly on the inside of it (that is, on the side that will be placed against the wound). Step Two: Wash the affected area on a daily basis, and replace the bandages to ensure that they stay clean. The best piercing aftercare product I've ever had the pleasure of using up to this point is the H2Ocean Piercing Aftercare Spray. Step Three: Once your injury has healed, use a silicone gel bandage or a self-drying silicone gel. You’ll need to use this frequently. Keloids can take a few months to develop, so that means you’ll need to wear these bandages daily for at least two months (preferably three). Some people find the bandages difficult to keep on, depending on the location of the injury. If that’s the case for you, use the self-drying gel instead. First, let’s get one thing out of the way. Keloids remind some people of tumors, especially since they spread and grow over time, but they’re not. Therefore, if you have a keloid scar, the good news is that it’s not an indication that you have cancer or a tumor that could eventually turn into cancer. It’s a common worry, but thankfully it's just that and not much else. That’s the good news. The bad news is that having keloid scars can still come with some negative effects. Not everyone experiences problems with their keloid scars, but some people do claim to feel some pain, discomfort, and itchiness. The discomfort can be worse when the keloids rub against your clothes and become irritated. That’s less of a concern for keloids that form after an ear piercing, but keloids on the shoulders and upper arms will likely experience a lot of friction throughout the average day. The discomfort and itchiness that comes with keloids can be upsetting, but nowhere near as the reduced mobility that affects some. Keloids can be very thick and very large. If they grow near any of your joints, like your shoulders, elbows, or wrists, you might find it harder to move those parts of your body. While this is especially challenging for athletes (who need all the flexibility they can get) and those whose work requires a lot of dexterity (artists, for example), it’s not something anyone wants to live with. If your keloid feels tender or painful when it’s touched, or if it’s warmer than the skin around it, it might be due to an infection. If the infection is discovered early enough, it can be treated with a course of antibiotics. Keloid infections that are left untreated, however, can ulcerate and may form pockets of pus or pus may ooze out of them. If the infection gets to this point, it’s too late to treat it with antibiotics and you will need to see a doctor immediately to receive appropriate treatment. It’s important not to overlook the costs to self-esteem and self-image that come with keloids, especially if they are highly visible and in a location that isn’t easy to cover up. Having keloids can make people self-conscious, which can in turn undermine their confidence and make them feel unattractive. While this is not strictly speaking a medical issue, it can still be detrimental to a person’s well-being, and that’s worth taking seriously. Before getting a piercing, consider your personal risk of developing keloids, based on your skin pigmentation, ancestry, and family history with keloid scars. If you decide to go through with the piercing despite some of the risks, make sure to follow all the aftercare steps to ensure that your piercing doesn’t scar over. Furthermore, be sure to raise the issue with your piercer. They’ll be able to advise you on the best ways to prevent keloids from forming. 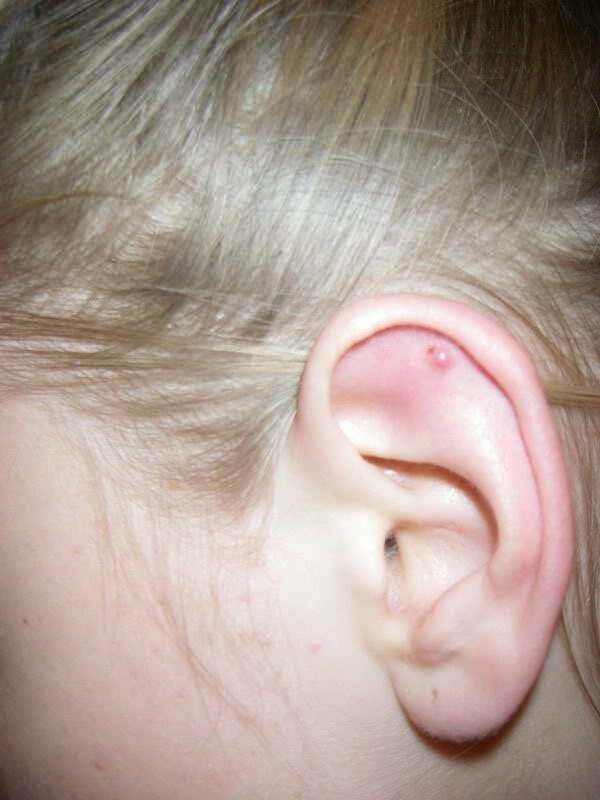 If you do get keloid scarring from a piercing, there are ways to get rid of it. These will go beyond your piercer’s professional abilities and you will need to consult a doctor – ideally a dermatologist – about which method you should try first. Keloids have negative effects, including lowered self-esteem, itchiness, and some discomfort, but they’re not a sign of cancer or other serious condition. They’re simply scar tissue and nothing more. Unless you develop an infection, especially one that goes too long without being treated, you can live with the keloid while taking steps to minimizing its appearance or eliminating it. Not everyone develops keloids, and not every piercing will result in one. Still, it’s important to know about them so you can make an informed decision. Cartilage Piercing Prices – How Much Do They Cost? Cartilage Piercing Pain – How Much Does It Hurt?